Could this be the most accessible version of Absynth yet? PRESS RELEASE: Native Instruments today announced ABSYNTH 5, a new generation of the acclaimed semi-modular software synthesizer that is renowned for its unique evolving sounds and textures. The new version enhances the profound sonic capabilities of ABSYNTH with powerful additional synthesis and effects features as well as overall improved audio quality, and offers an ingenious new way to create complex sounds based on musical attributes. Popular among professional composers and sound designers as a distinctive instrument for innovative timbres and complex soundscapes, ABSYNTH has now been upgraded with special sound shaping features that further widen its remarkable sonic palette. A powerful "Supercomb Filter" opens up a new world of physical modeling-type sounds with intricate acoustic resonances, while the new granular-based "Cloud Filter" can add both subtle and drastic spectral modulations. The addition of filter feedback paths also enables a whole new range of organic, gritty and unpredictable tones. The versatile effects section of ABSYNTH has been expanded with the new "Aetherizer," a unique algorithm that breaks up sound into microscopic particles and rearranges them in complex ways, creating sophisticated and previously unheard sound treatments. With all parameters available for realtime modulation via versatile envelopes and MIDI control, the Atherizer also supercharges the popular application of ABSYNTH as an extraordinary creative effects processor for external audio material. ABSYNTH 5 also introduces the "Mutator", an innovative feature that enables intuitive sound creation and variation based on actual musical terms. For any given preset, users can choose specific attributes from the sound browser that they want to change the sound towards. The software then analyzes other presets related to these attributes, and adjusts the original patch to adapt the desired sound characteristic. Combined with various customization options and an adjustable randomization function, the Mutator allows all users of ABSYNTH 5 to create unique and complex new sounds in an efficient and highly convenient way. The comprehensive sound library of ABSYNTH has been expanded with 250 new presets that make use of the new soundshaping features, resulting in an arsenal of over 1,800 ready-to-play presets that are all easily accessible through the integrated KORE-compatible sound browser. To further refine the general audio quality, ABSYNTH 5 also utilizes new oversampling algorithms in various stages of the signal path that enable increased sonic clarity in the crucial upper frequency range. 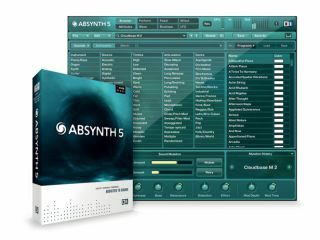 ABSYNTH 5 will be available in October 2009 for a suggested retail price of $199 / 179 EUR, and will also be part of the new KOMPLETE 6 bundle. An update for owners of previous versions of ABSYNTH will be available for $79 / 69 EUR.